In the waning days of the Civil War, the three main architects of the Union victory convened for the first and only time. At the same time, Sherman was coincidentally planning his own trip to City Point. 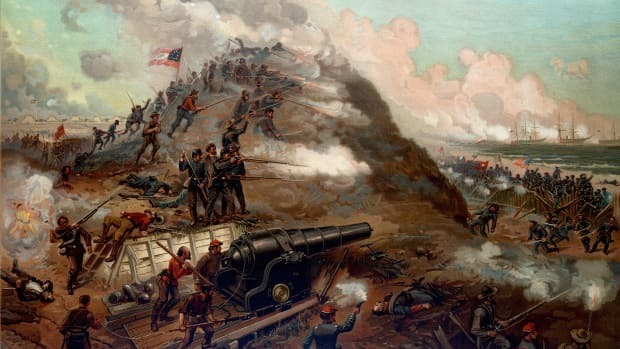 Fresh off his “March to the Sea” from Atlanta to Savannah, he had continued his slash-and-burn tactics up through the Carolinas and now appeared on the verge of linking up with Grant. 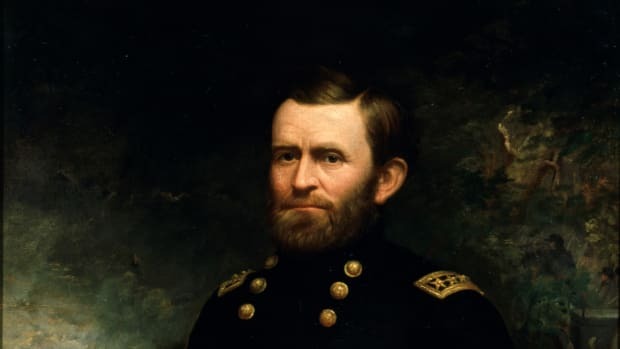 Desiring a parley with his boss, Sherman wrote to Grant that he might visit “for a day or two, before diving into the bowels of the country again,” and that “in one more move” they could “checkmate” Confederate General Robert E. Lee. He then traveled nearly 100 miles to the North Carolina coast, where he hopped on a captured Confederate blockade runner that whisked him up to City Point by the afternoon of March 27. His old friend Grant was there to welcome him, and after trading stories for an hour or so, the duo called on Lincoln aboard his steamship, the River Queen. Porter, another of Sherman and Grant’s friends who commanded the Union fleet on the James River, also may have been present (he later said he attended both days’ meetings, whereas Sherman said he only attended the second). 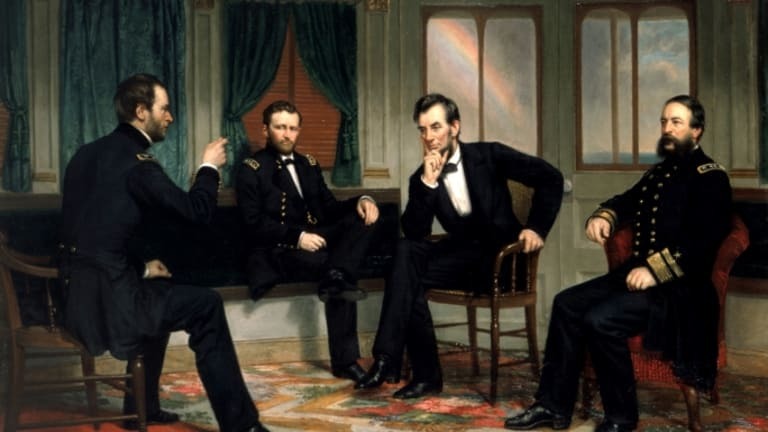 Either way, Sherman would call this first encounter a “good, long, social visit,” in which Lincoln asked questions about his “great march” and about how the troops would hold up in his absence. “When at rest or listening, his legs and arms seemed to hang almost lifeless, and his face was care-worn and haggard,” Sherman wrote of the president, “but the moment he began to talk, his face lightened up, his tall form, as it were, unfolded, and he was the very impersonation of good-humor and fellowship.” Saving more serious discussions for the following day, the two generals took their leave of Lincoln before dinner. They then spent the rest of the evening cracking jokes with other high-ranking military officials and with Grant’s wife, Julia, who gently chided them for forgetting to greet Mrs. Lincoln. 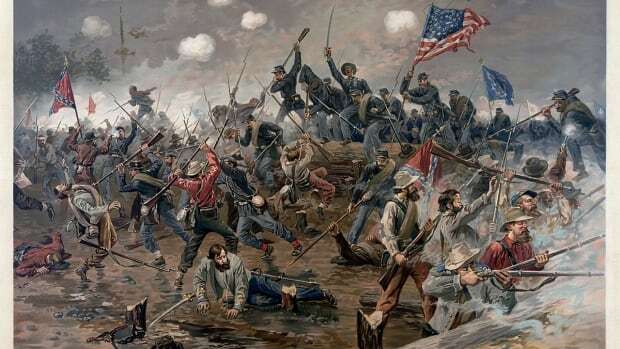 Debates over strategy also took place, such as whether a cavalry unit should remain in Virginia or join Sherman in North Carolina. 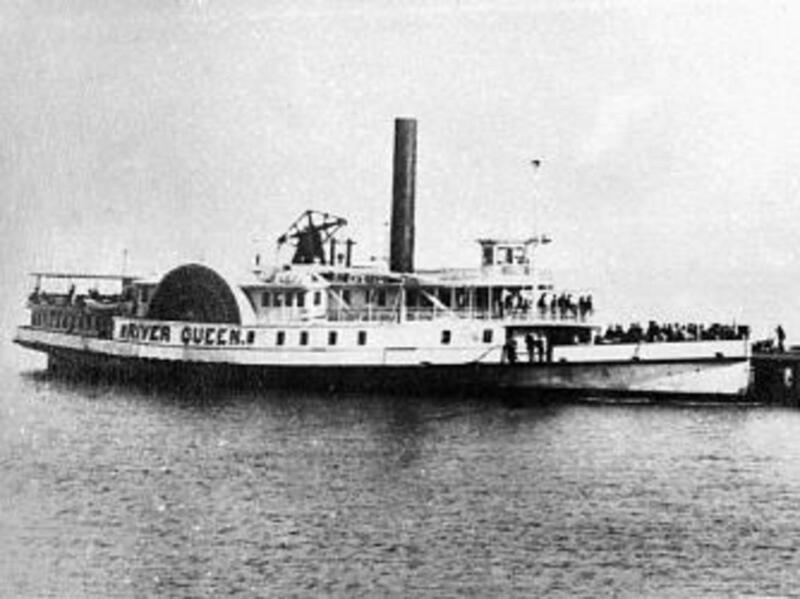 After meeting with additional high-ranking military officials the next morning, Sherman, Grant and Porter once again boarded the River Queen for what one Union officer described as an “informal interchange of views between the four men who … held the destiny of the nation in their hands.” This time around, Grant briefed the president on his latest military maneuvers and expressed his desire to prevent Lee from uniting with a separate Confederate army in North Carolina. 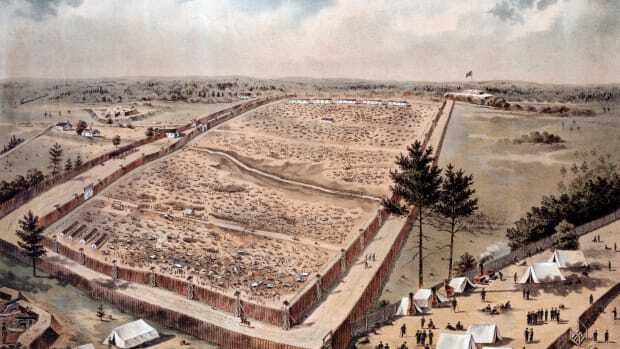 According to Sherman and Porter (the only two of the four to leave a written account of the conference), the generals expected at least one more major battle, much to the consternation of Lincoln, who reiterated that there had been “blood enough shed.” Sherman next turned the conversation to Reconstruction of the South, with Lincoln responding that rebel soldiers would be allowed to return to their homes as soon as they laid down their arms. 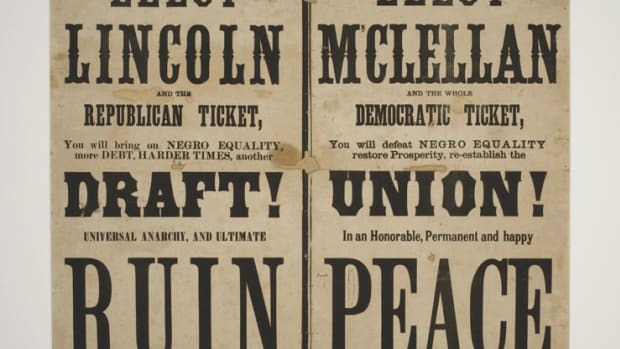 He even implied that he wouldn’t punish Jefferson Davis, provided the Confederate president left the country. 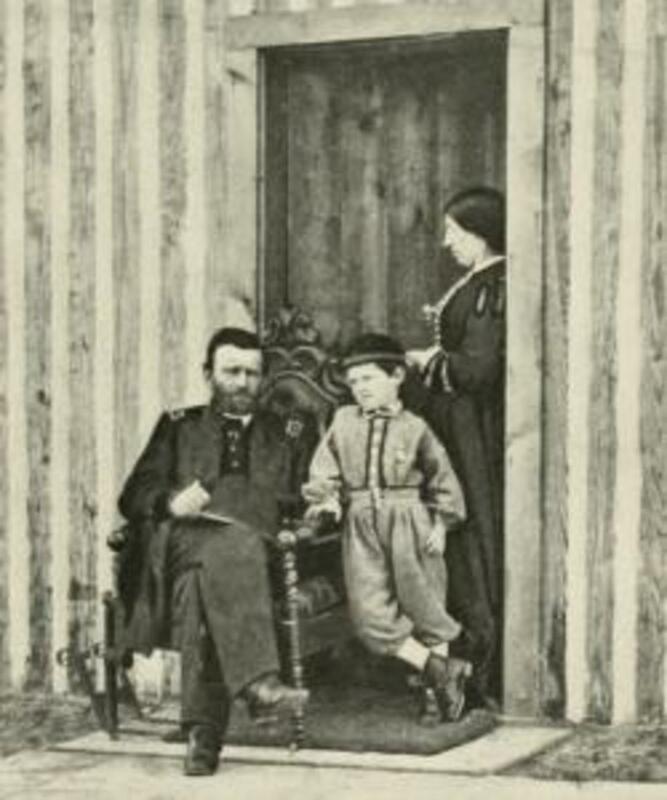 That very afternoon, Sherman departed for North Carolina, but not before the president purportedly told him and Grant that he liked them because they “never found fault with me.” Sherman responded in kind, writing, “Of all the men I have met, [Lincoln] seemed to possess more of the elements of greatness, combined with goodness, than any other.” Within days of their historic get-together, Grant finally finished cutting the roads and rail lines into Petersburg, prompting the Confederates to abandon both it and Richmond, their capital. Lincoln visited Petersburg on April 3 and Richmond on April 4, despite a warning from his secretary of war that snipers might be about. Newly freed blacks apparently thronged around him in the streets. The president then returned to Washington, D.C., on April 9, the same day as Lee’s surrender at Appomattox Court House.